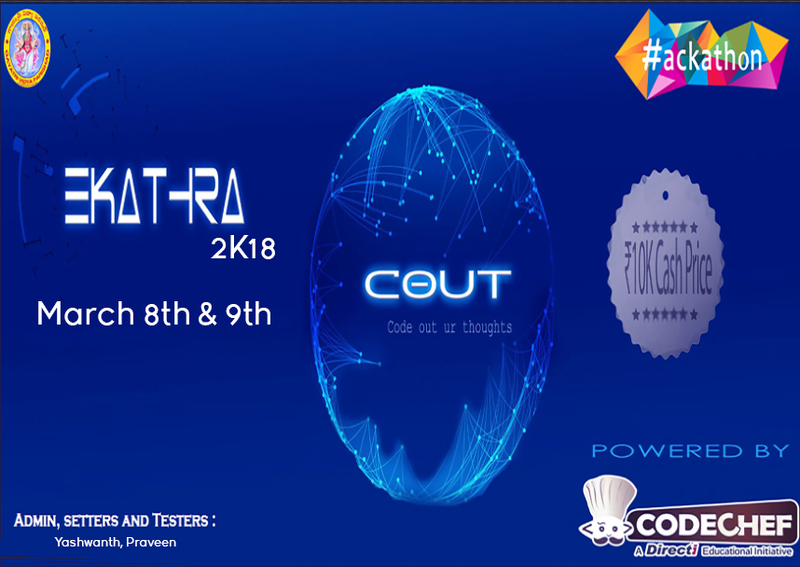 Organiser: The contest is hosted by Gayatri Vidya Parishad College of Engineering (A).As a part of college technical fest EKATHRA 2K18 under department of CSE & IT. Prizes: Exiting Prizes worth 4,000. We have reached the end of the contest. The people who completed atleast 2 problems can come to the final round. Final round will be an onsite round at Gayatri Vidya Parishad College of Engineering(A) labs,vizag. Please contact suryagrandhi97@gmail.com for any queries during the contest.